Looking to get outside with your dog? 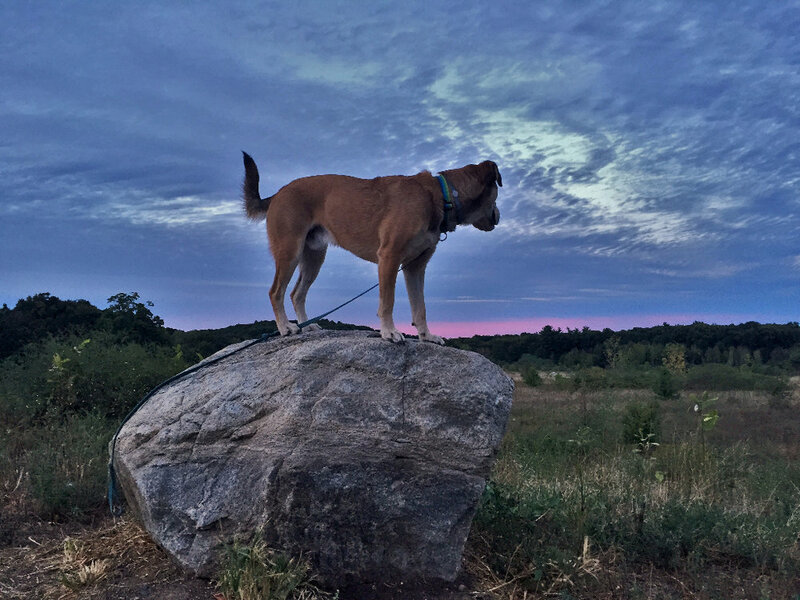 We’ve compiled a list of 15 places throughout Connecticut that you can take man’s best friend for an outdoor adventure. Please note that rules vary by location, specifically leash and no-leash rules. Located in Fairfield, Lake Mohegan and its surrounding open space comprise a total of 170.4 acres. Located in Haddam on the banks of the CT River the park was created in 1944 with a gift of 154 acres from the Hazen Foundation. The 1017 acre park, located in Redding, is a wonderful place for tranquility and peace. In the shoreline town of Branford, the pond on site is great for any dogs that like to go for a swim. Located in Bristol, features an off leash dog park. Large, unfenced, open meadow crisscrossed with trails. Large, off-leash dog park provides plenty of space in Rowayton. Connecticut's largest shoreline park in Madison offers over 2 miles of beach. Located in Norwich, Pawsitive Park offers both large and small dog play areas to accommodate fun seekers of all sizes. Located in Southbury, this 14 acre park is an off-leash area for dogs, but it's not completely fenced in. This dog park features separate areas for small and large dogs, water and cleanup stations and agility equipment. The Granby Dog Park is located within Salmon Brook Park in Granby. Located in Harwinton, features hiking trails and a fishing pond. The Branford Supply Pond in Branford sprawls over 350 acres of wooded area. Hike the trails in search of Indian caves, explore rocky ledges, relax by the various streams and ponds, or picnic in the pine woods at Chatfield Hollow State Park. Note: Local Connecticut does not claim ownership to any of the photos used above. The origin of the photo is included below each corresponding photo as well as the photographer(if applicable).